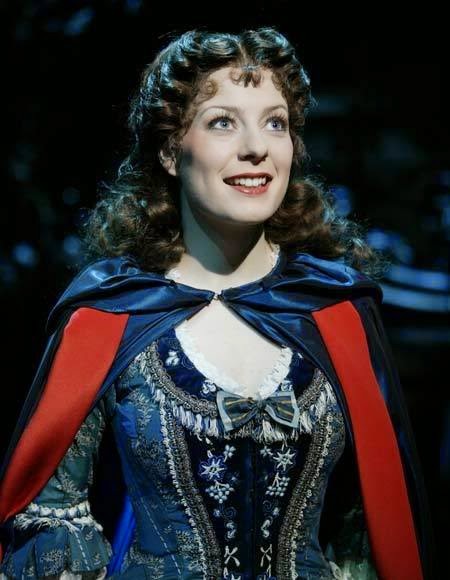 I want to start a new blog series called Costume Love to share my favorite costumes from everything from movies to Broadway musicals. I'll try to post every week, but we'll see how it goes. 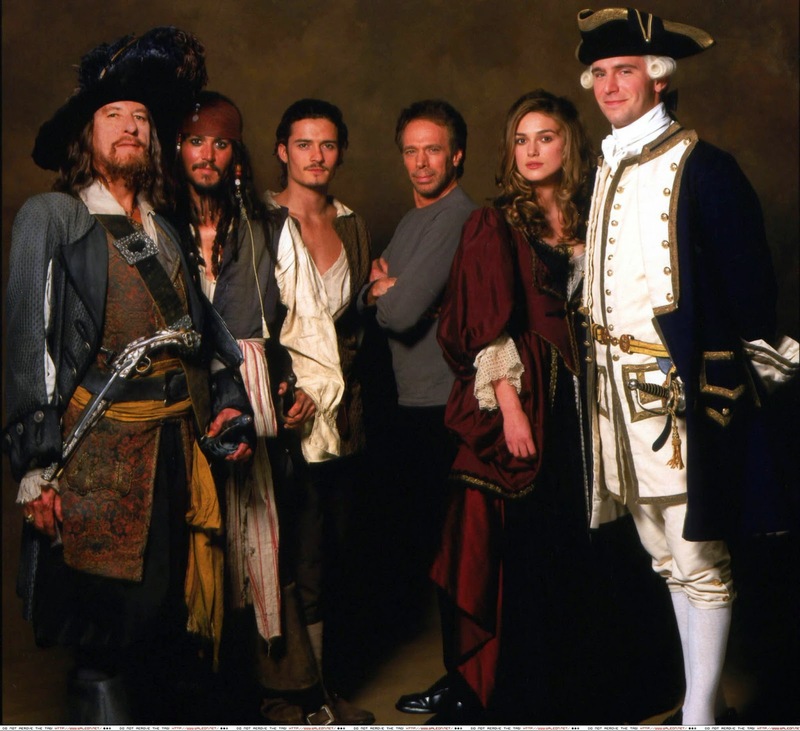 For my first post I'm going to start with Pirates of the Caribbean. These movies are so fun, filled with lots of adventure, awesome sword fights, lots of humor, and some really amazing costumes. 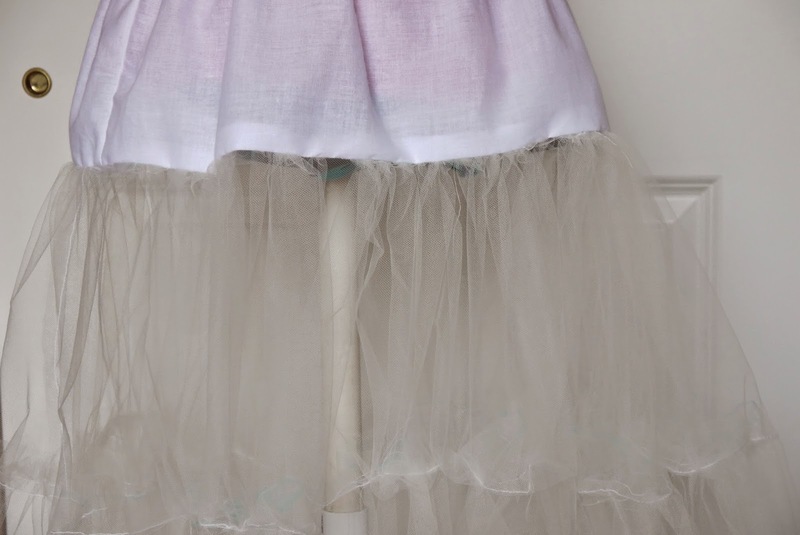 All of the fabrics and the syles are just so amazing! 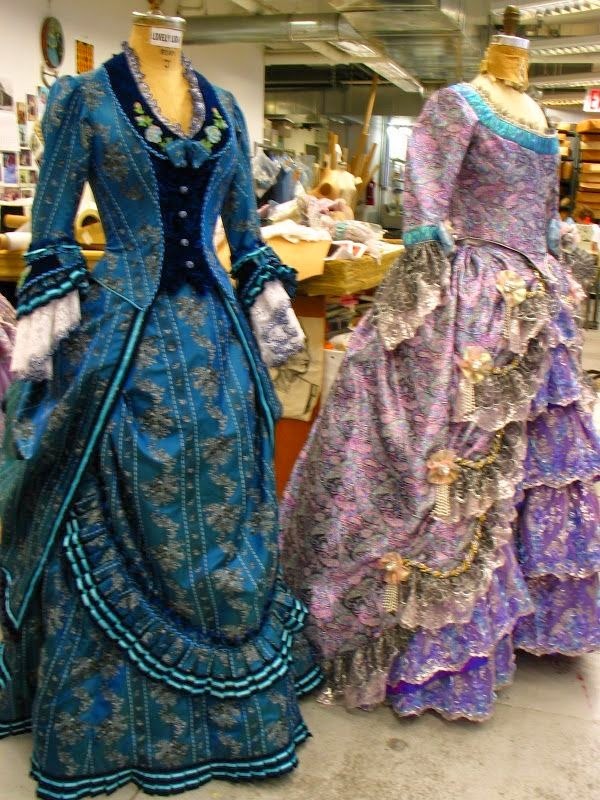 Because the first movie is my favorite, I'll be showing costumes from that film. 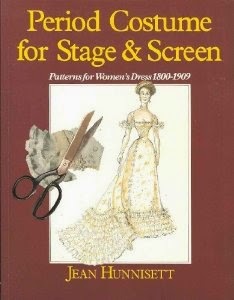 All pictures are via the Costumer's Guide. 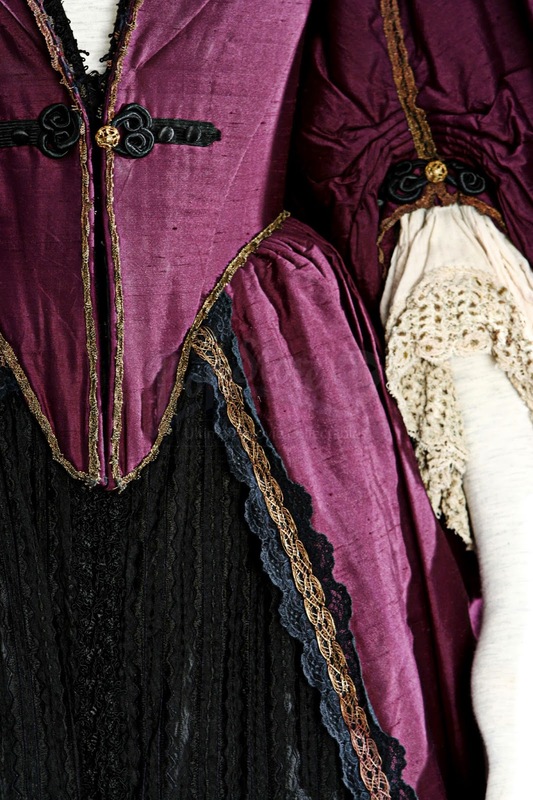 The plum pirate gown which Barbossa has Elizabeth wear is just beautiful! 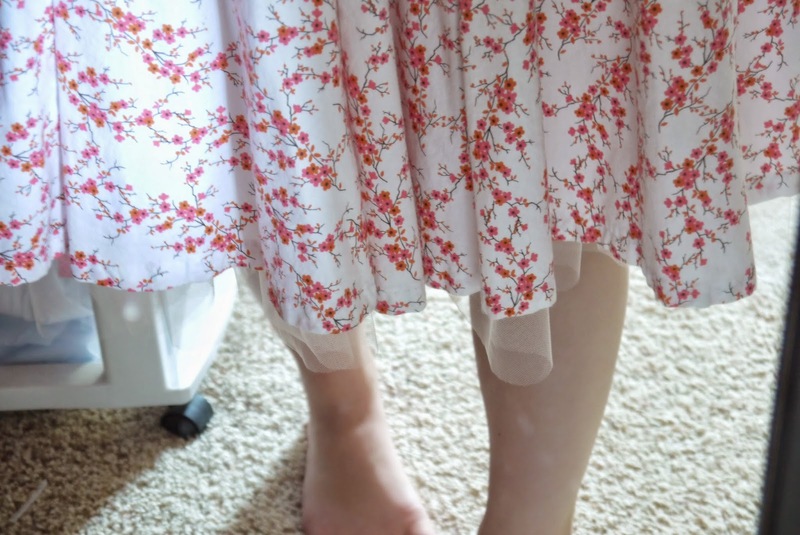 The pictures of this dress are all really high quality, so if you open the image up in a new tab you can zoom it in to get a good look at some of the details. 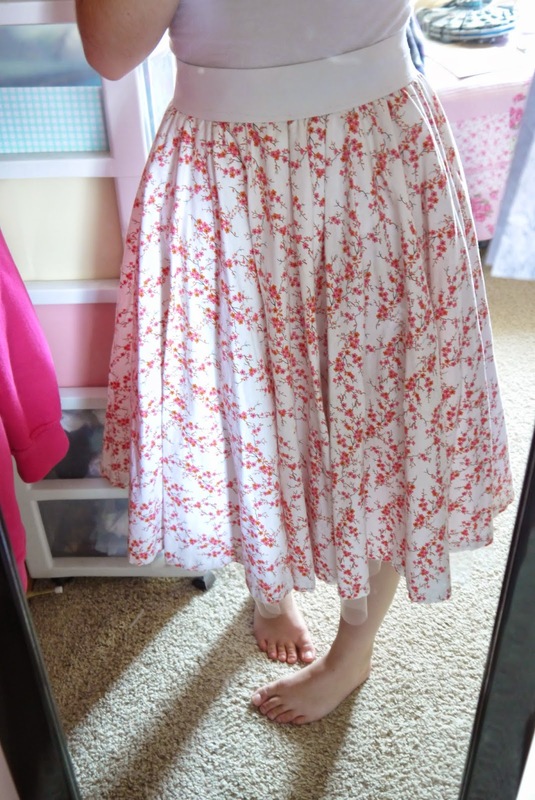 I think what I love most about this dress is the color and the material. 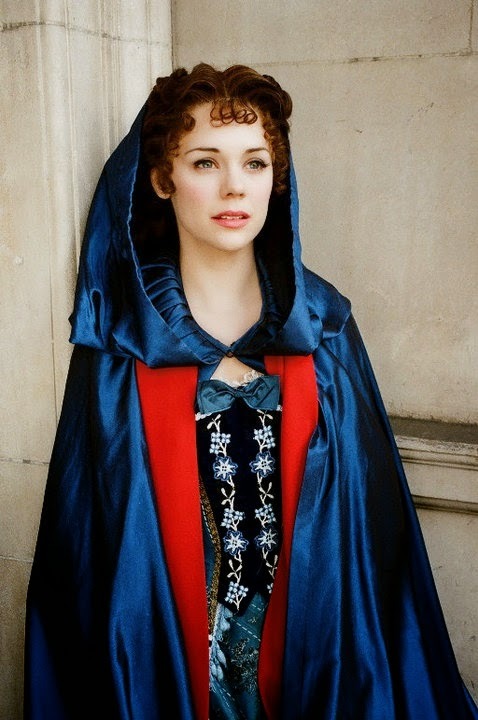 I love this dress Elizabeth wears in the beginning of the movie. 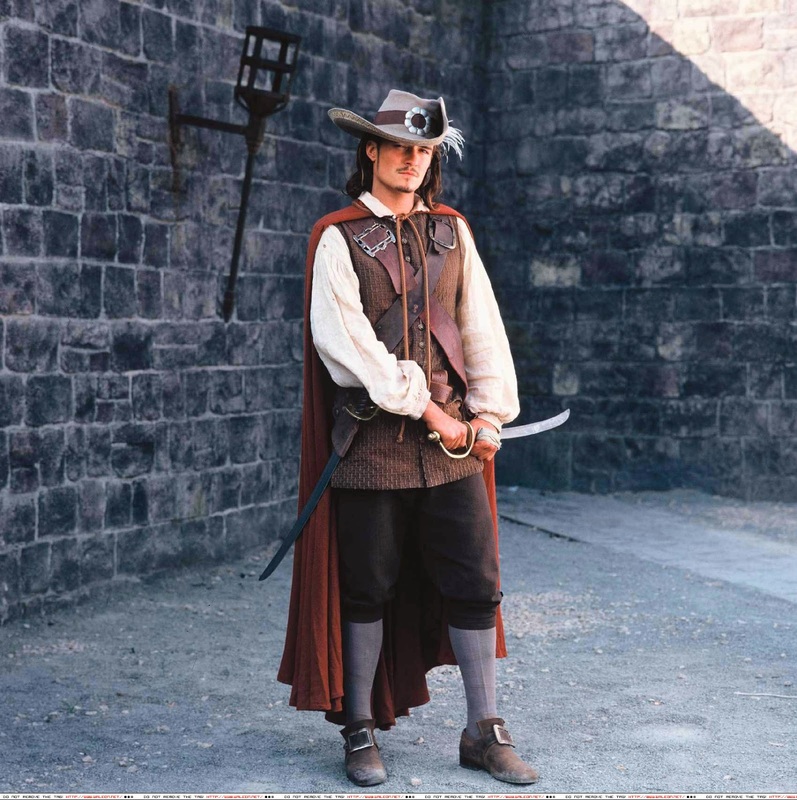 And then there's Will's end outfit. I love his hat! It's just so epic with the huge feather and brim. 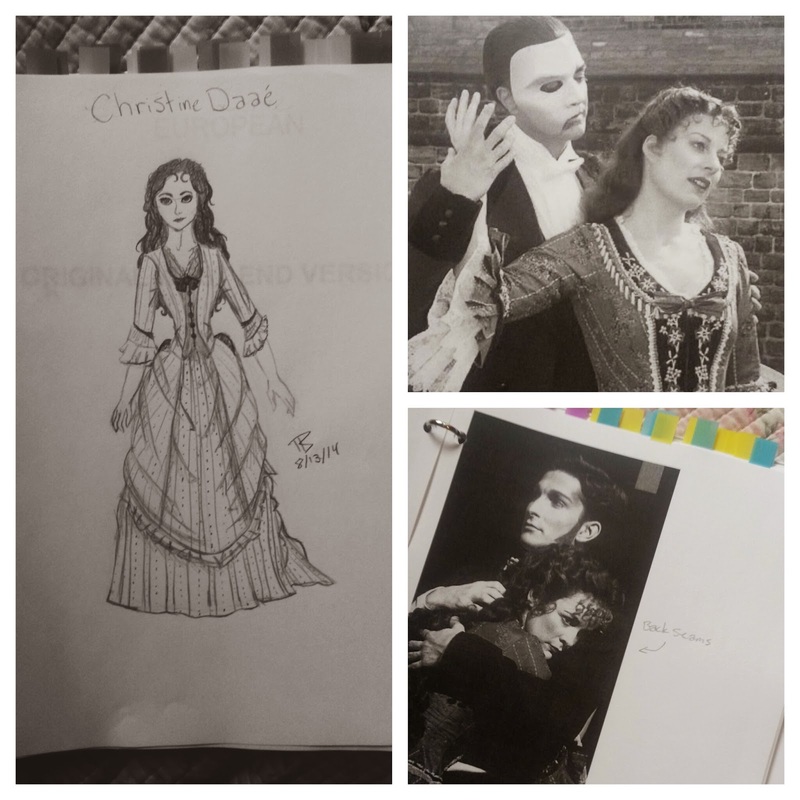 I recently saw Phantom of the Opera for the first time a few weeks ago, and it's sort of become another obsession both as a musical and because of the amazing costumes! Just to clarify, I'm talking about the 25th Anniversary special, not the 2004 movie. 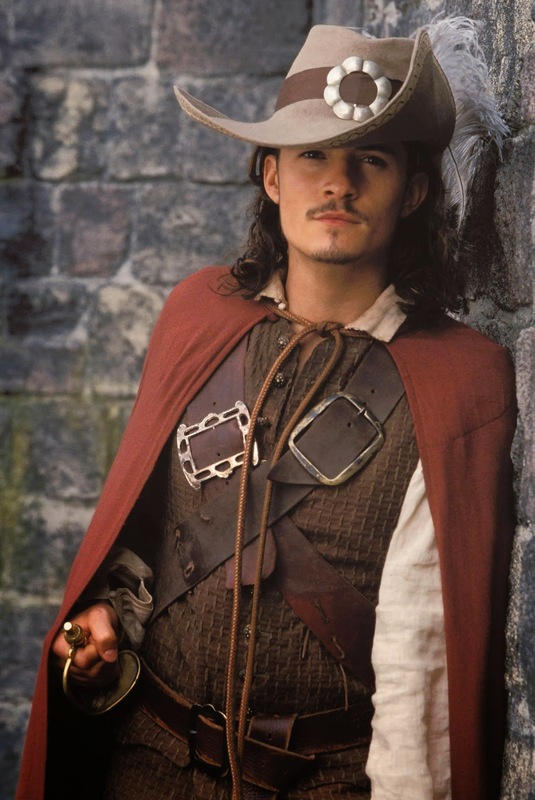 While some of the costumes in that were spectacular, the movie as a whole wasn't that great. 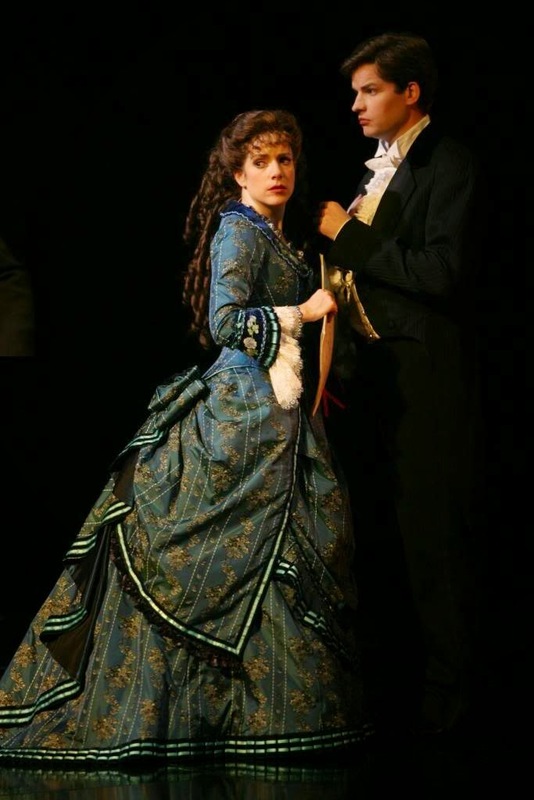 My favorite out of all of Christine's dresses is her blue dress more commonly know among costumers as the "Wishing Dress". 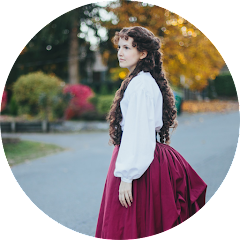 I'm going to write up a more full overview of the dress later, but right now I want to focus on what would be underneath an actual 1880's dress. 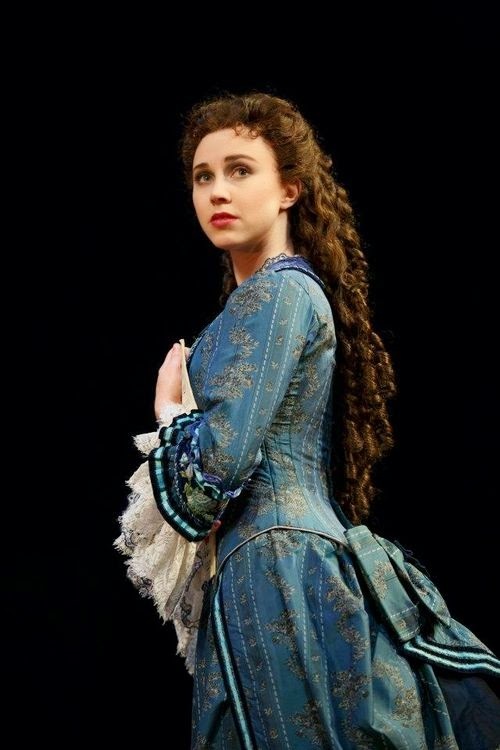 Now, since this is a stage costume it probably doesn't have historically accurate underpinnings. 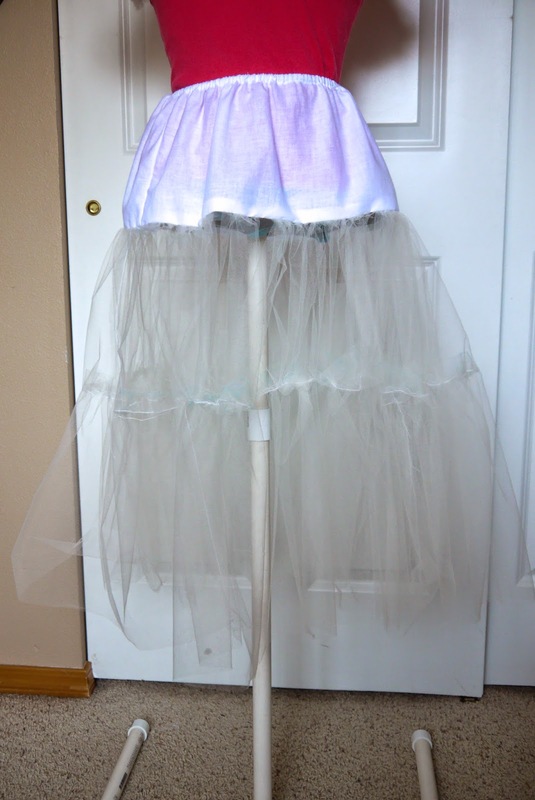 But when I make this dress I want to make period accurate undergarments. 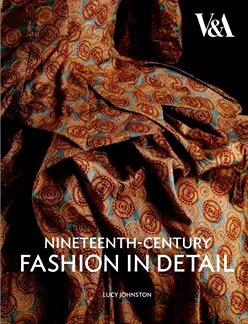 I figure that the closest era for this dress is between 1885-88 based on some research I've done. 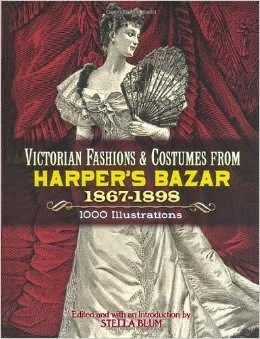 I don't know a ton about the later Victorian era since in the past I've been mostly interested in the 1860's. Starting from the bottom and working our way up. 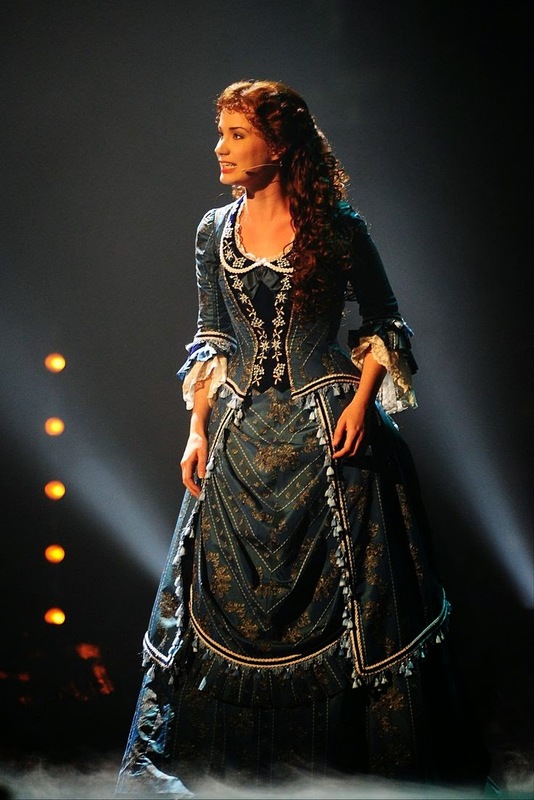 First off is the chemise. 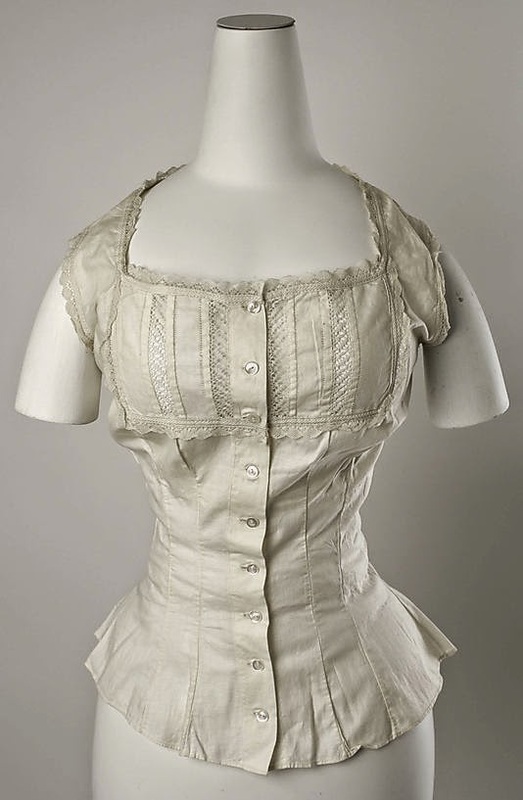 A chemise would be worn underneath the corset and tucked into the ladies drawers. 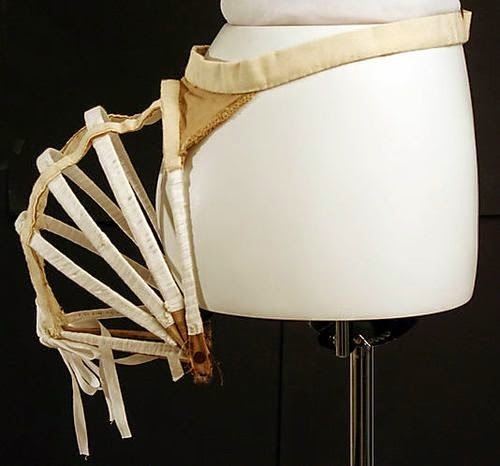 Even though they were never seen by the women wearing them, some were very elegant. Ca. 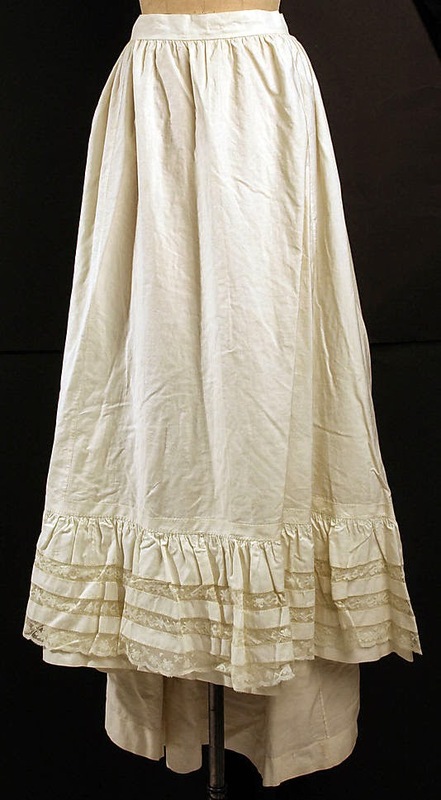 1887 made of Cotton via The Met. Ca. 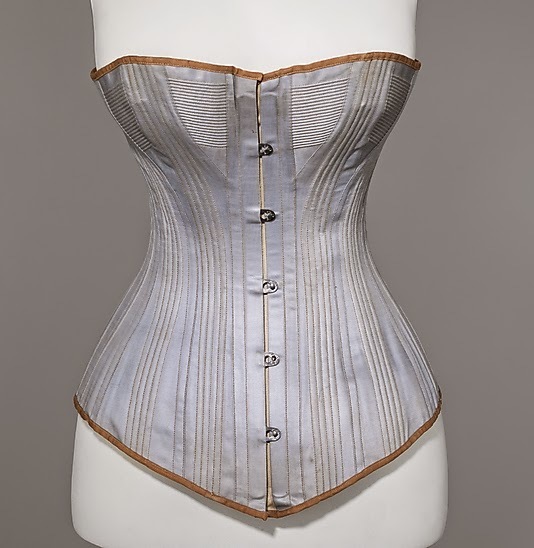 1880's made of Linnen via The Met. 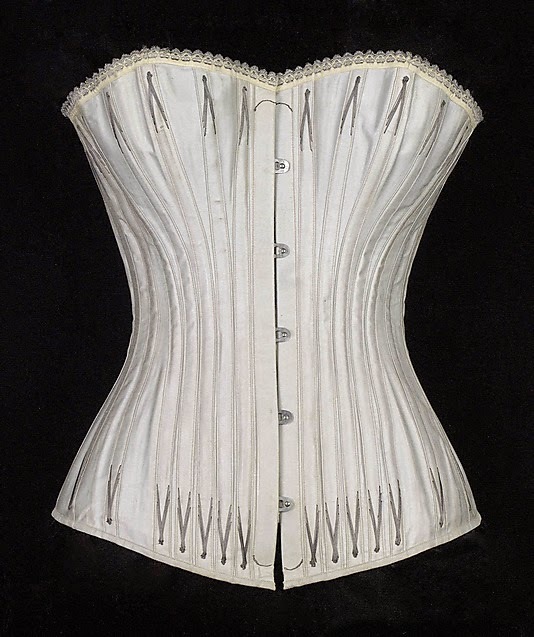 Next is everybody's favorite, the corset! 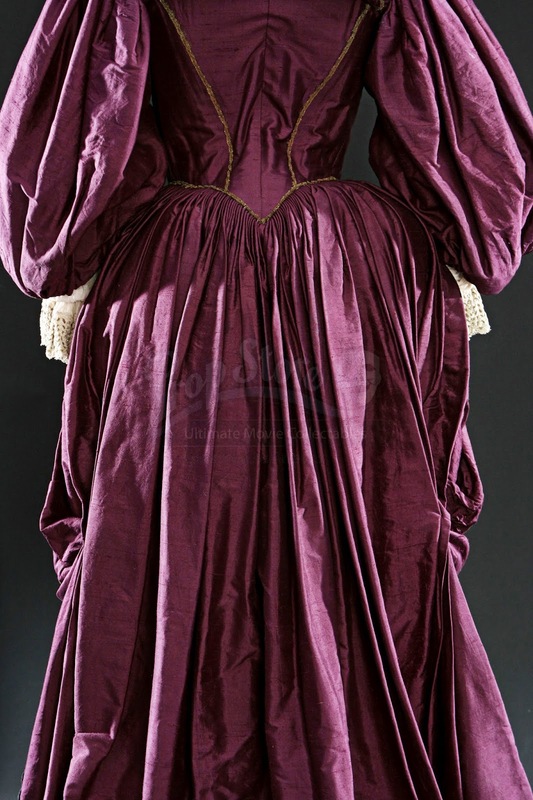 In the 1880's ladies waist's got even smaller than before. Ca. 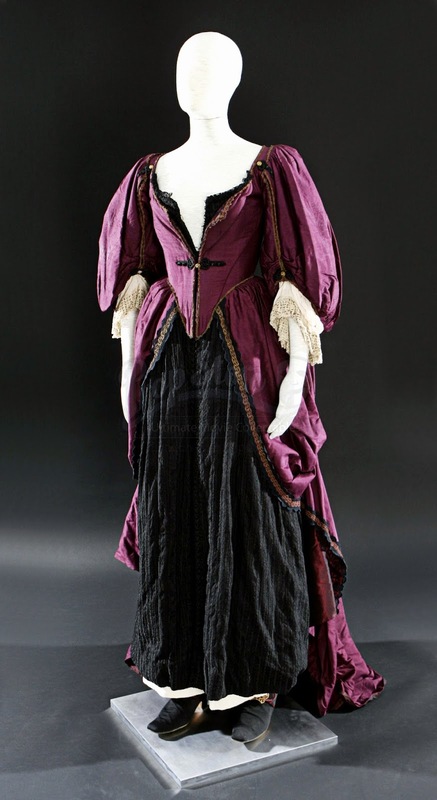 1880 via The Met. Ca. 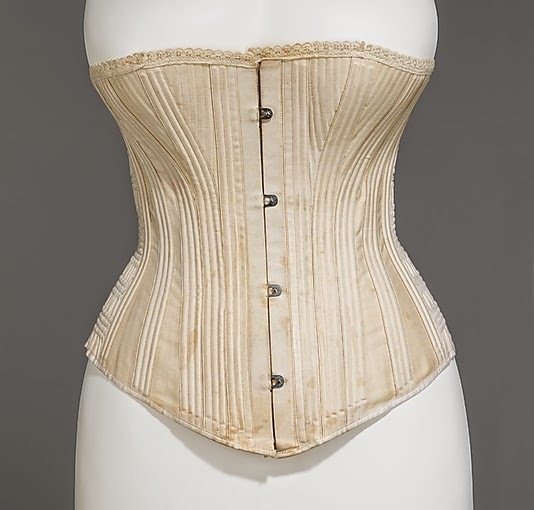 1885 via The Met. Next we have split drawers. 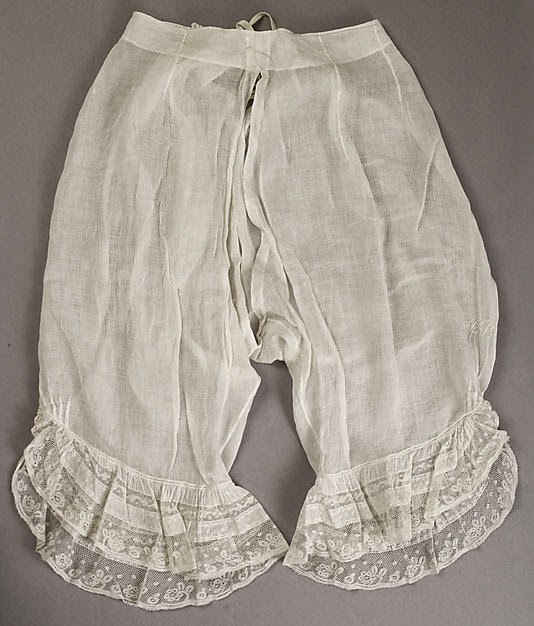 These would be worn over the chemise to add a little bit of modesty underneath the dress. 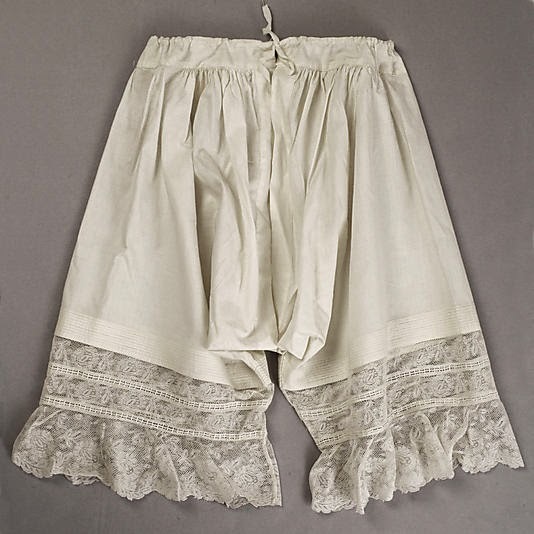 I've actually gotten to wear a pair of drawers from the early 1900's, and I have to say they're kinda fun! Ca. 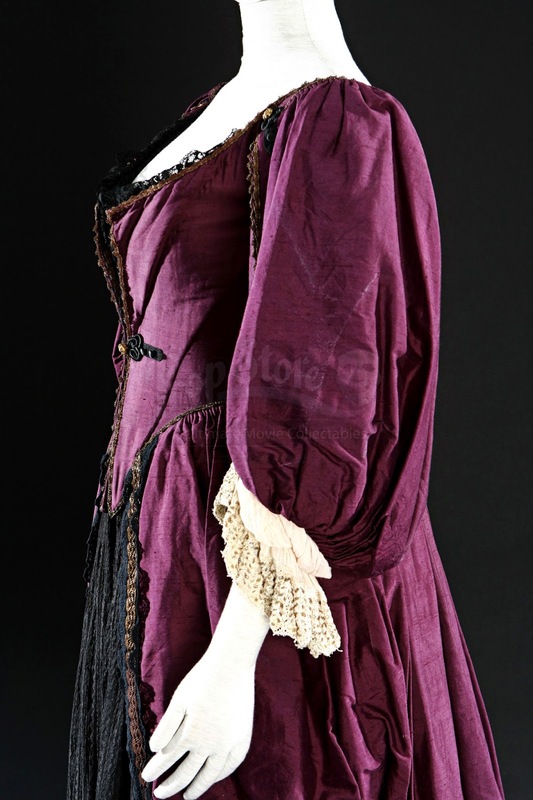 1887 via The Met. 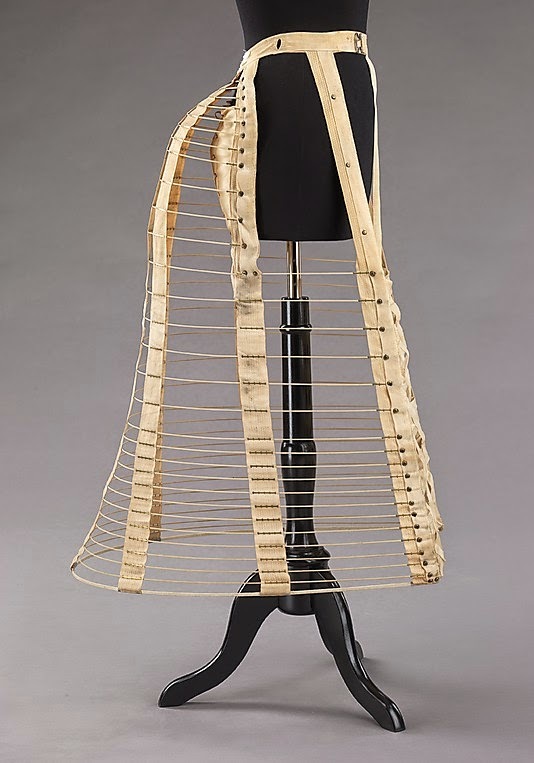 It's not necessary, but over top of the corset women would wear a corset cover. Ca. 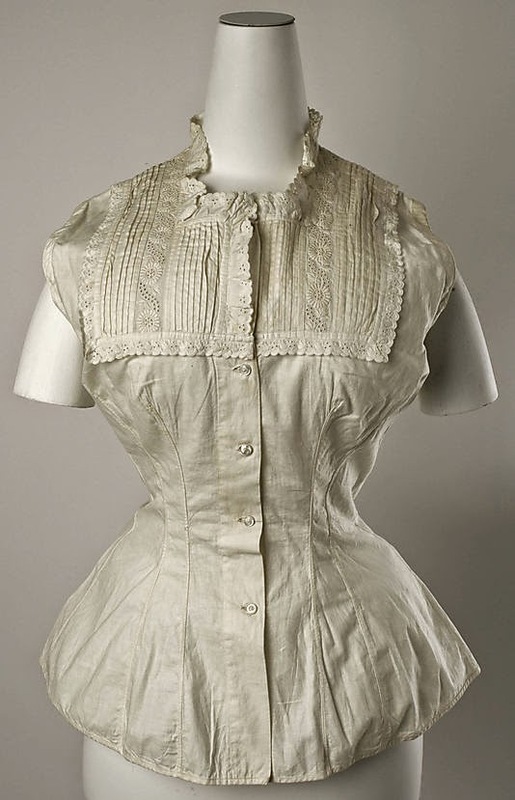 1880's via The Met. 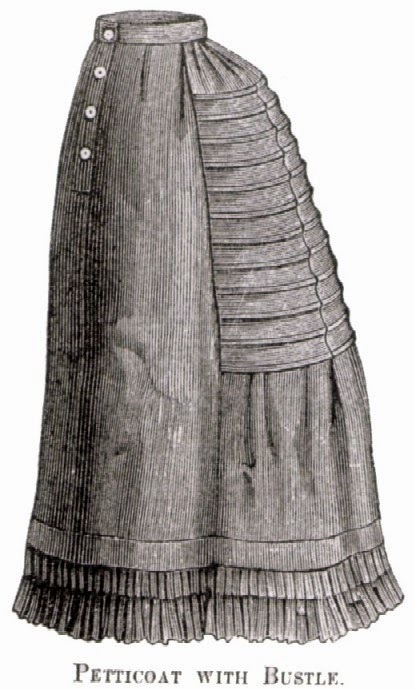 The 1880's was also the return of the bustle. 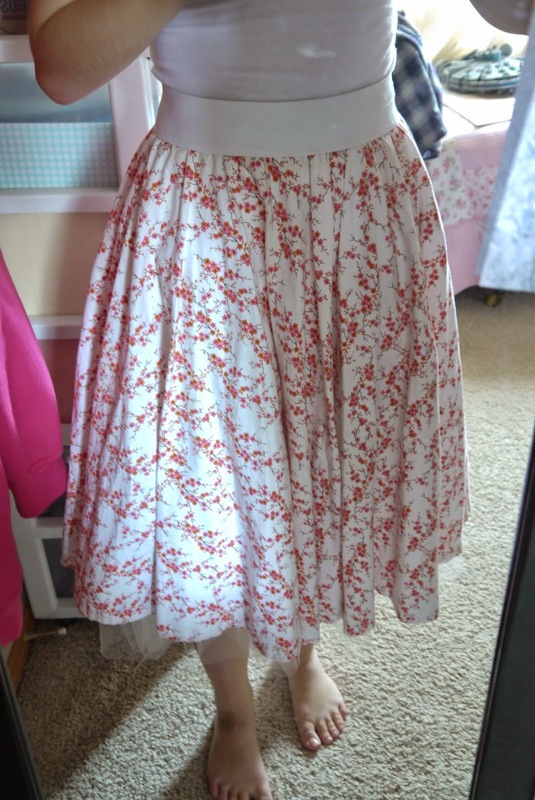 For the most part the skirts would be flat up front and all volume would be in the back. 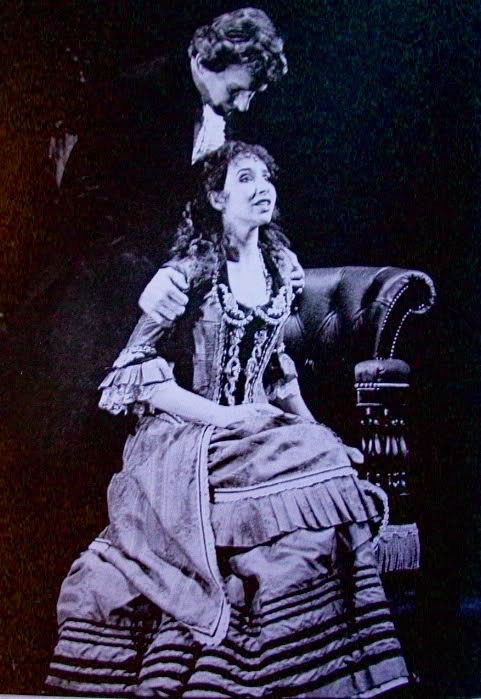 There was a lot of different ways a lady could get the right silhouette. 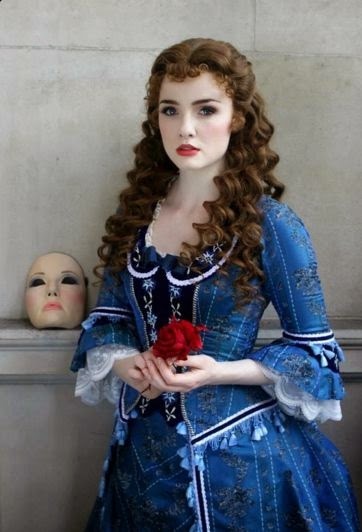 There were crinoline styles, petticoats with bustles built into them, petticoats with ruffles in the back for a smaller bustle, and other 'bustle builders' such as bustle pads. 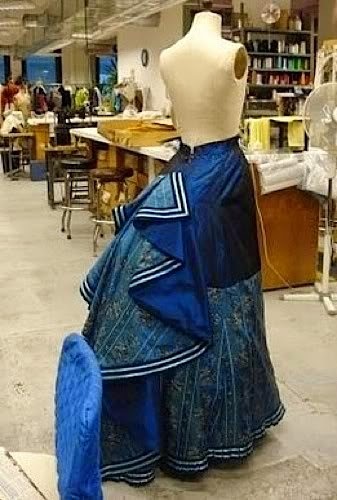 Bustle petticoat via Vintage Victorian. 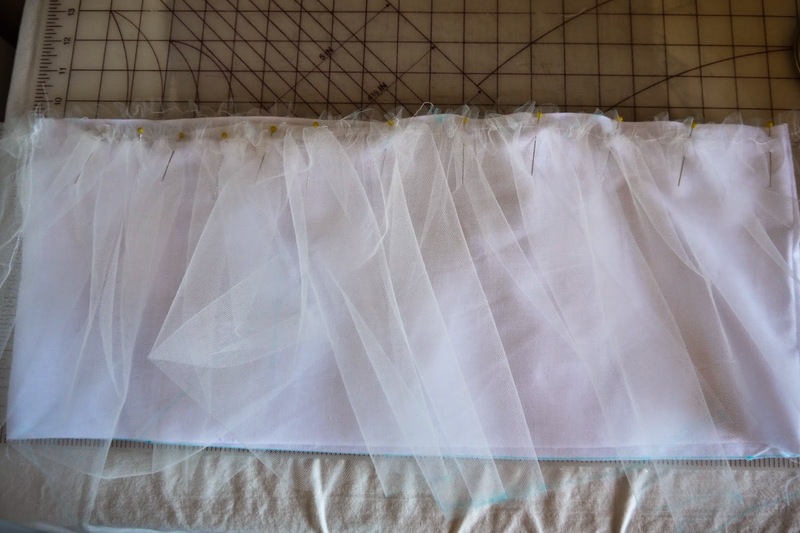 Depending on the type of bustle, there was usually another petticoat added over top to give it a nice and lush look instead of being able to see the framework of the cage or bustle. So that's about it. 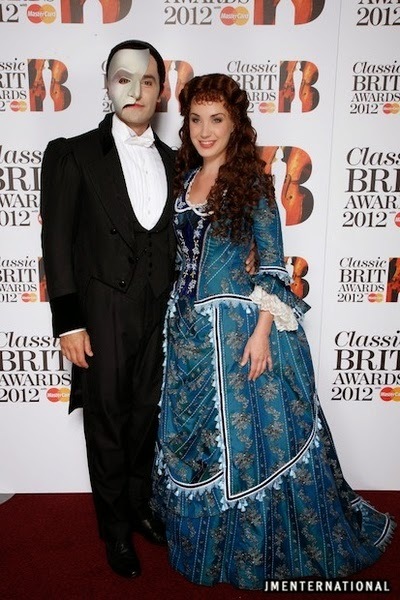 It was tough work getting dressed back in the day!